Hacking Smartphone is a very hot topic in all around the world especially in USA, that’s why it becomes a red topic for tech enthusiasts. Smartphones specially android phone hacking concerns increases day by day for the last couple of years, it potentially huge impact on all the android smartphone owners. Here in this post, I’m share some guide of how to protect your smartphone from being hacked from hackers. There are almost 970+ Millions Android Users are available all around the world, all these are at the risk of hacking. 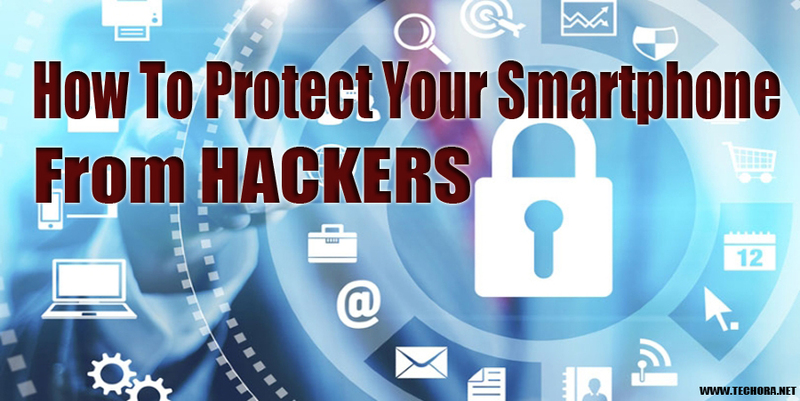 Here are some tips to secure your smartphone from hackers. Whenever you installing any app from any where means from Google Play Store, a window will be shown on the screen and ask from you some kind of permission to begin installing this app. Apps required some permission before installing and working well into your android phone, but not all of them are compulsory. Always try to read carefully the complete message of what kind of permission it will require and app actually what does it. Remember that, there are millions of apps are available in the play store, and all apps are not safe.Always reading the comments and reviews about every app which you want to install it. As you seen that there are many apps available to protect your android phone and adding different kind of passwords people used today. So lock your phone when you doesn’t use it .Try to change your password on daily or on weekly basis so no one predict what is your password. Screen Pattern Lock is also very popular password manager for your android phones use them also. Voice recognition is also a very popular technique to protect your android phone from being hacked. Network is very necessary thing in today world because everyone connected to the internet. It is one of the best and important thing to protecting your Android smartphone devices is to secure your network. Don’t use Public WiFi connection especially don’t do online banking using public WiFi connection. There are many different apps are available for protecting your information like Hidenninja VPN is the best choice of mobile lovers. For more security privacy and protection use different methods and apps available in the market. Anti-Virus is the powerful factor against any type of viruses, phishing, and hacking. There are different antiviruses are available for android smartphones to protect their data and information. Turn on firewall option always enable which help you to protect your network against issues too. Many mobile securities apps also available with amazing and powerful features on the Play Store. When any unknown person send you message , especially linsk contains texts, don’t open it or avoid to clicking those links inside text messages. Delete all these kinds of messages from your smartphone’s. Many hacker use this technique to send emails or messages to getting your information and mobile data. If you click on the link which is available inside the message, hacker get your all information, your password, and much more. So always keeps eyes on your messages and emails. Technology can be change and new revolutions are takes place in the tech world. So don’t let yourself lack behind these tech changes. Try to keep up all your security improvements which are happening in tech world. Try to scan your phone and get all recommendations that they tells you and make more secure your smartphone from being hacked. Whenever your smartphone being hacked or lost, you’ve all your backups already in cloud storage, but you also try to get your lost phone back to your hand. So the good factor is that, smartphone device companies manufacturing all smartphone track-able which tracks your phones via GPS ( Global Positioning System ).There are dozens of mobile tracking apps are available , so you can easily use them for the tracking of your phone. Passwords has the main factor for your mobile security and any other device. Many people save their passwords, so they don’t want to add password again and again when they use them, this is the very danger factor because hacker can anytime stole your information and your device being hacked. So avoid to save your important apps passwords in your device. When you install any apps from the internet, always find the trusted and authenticated source . Almost all biggest manufacturer’s provide the app store which is fully authentic and protect source for downloading and installing smartphone android apps. Also read their comments and description and reviews about this app to better know before installing it.